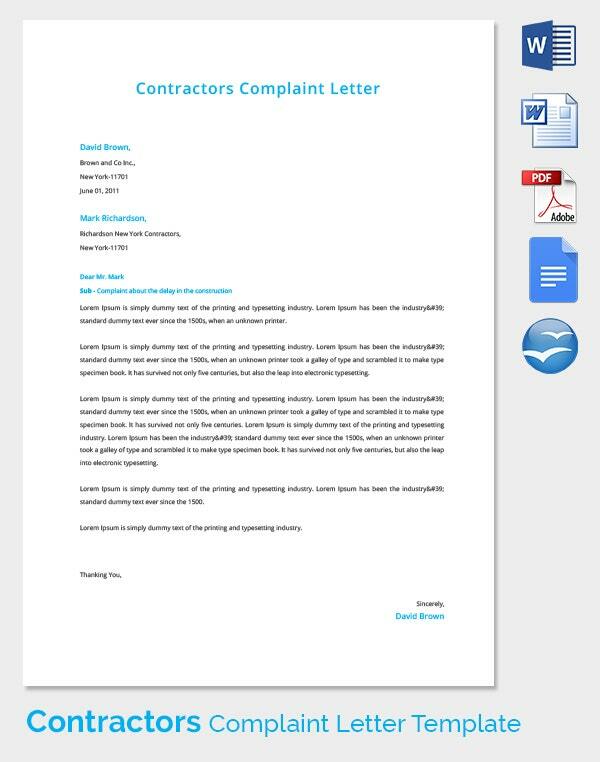 A complaint letter is usually written to resolve a problem when other ways such as emails and phone contacts have failed to address the problem. Apparently, it is the last option to trying to get the problem at hand resolved. 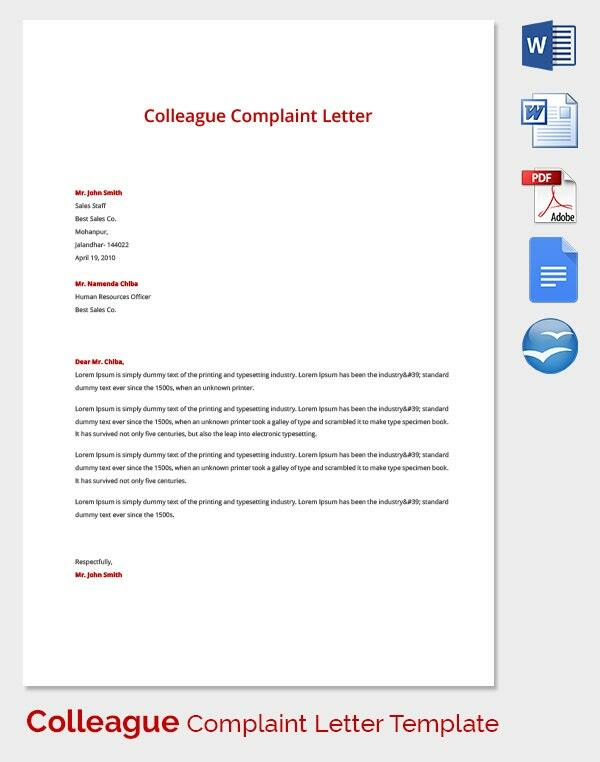 Also, the Complaint Letter makes the problem formal by putting it in writing. You may also see Letter Samples. 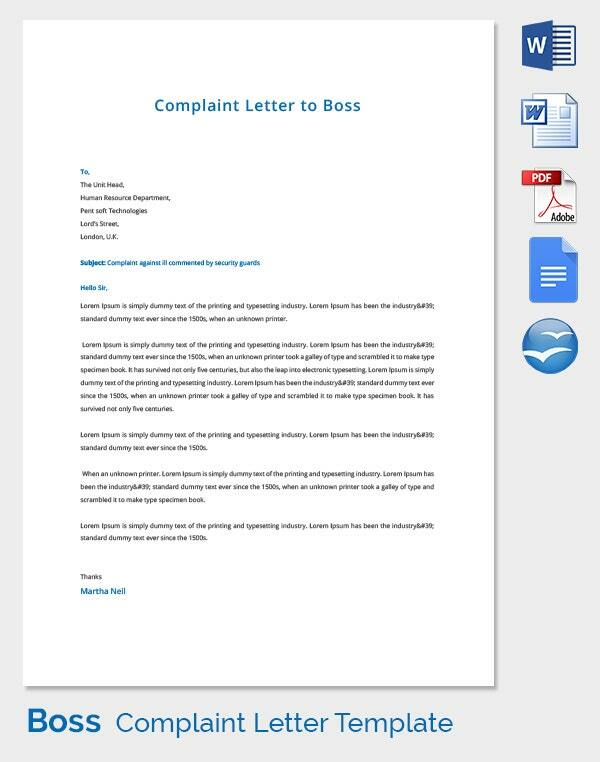 For a complaint letter to be efficient, it should be short and brief, well written, and proficiently presented. 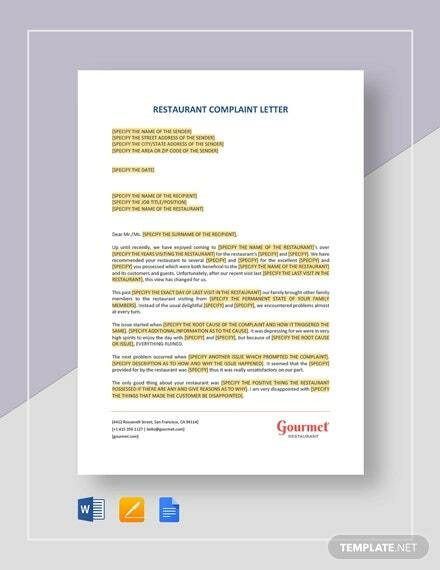 Further, the complaint letter should be based on facts; the reader needs to see the significant details such as the requirements and the dates. 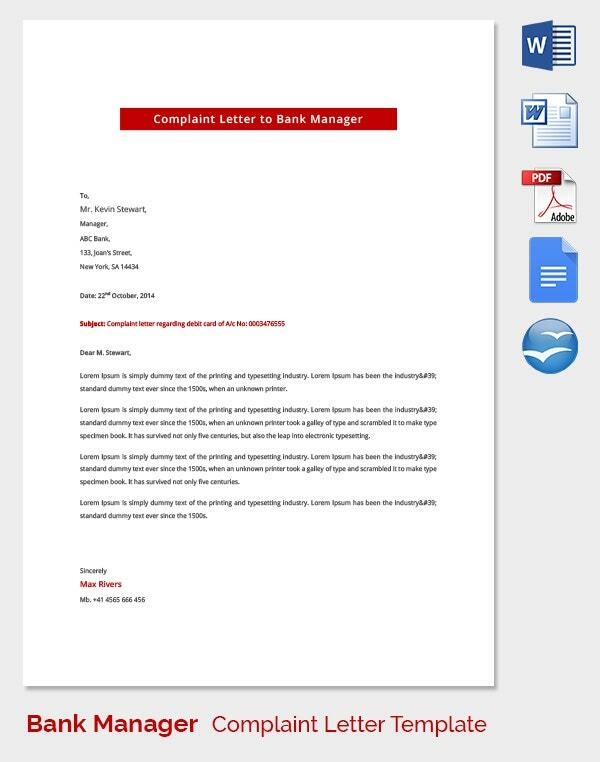 Lastly, the complaint letter should have a praising tone, accommodating and considerate to the reader. 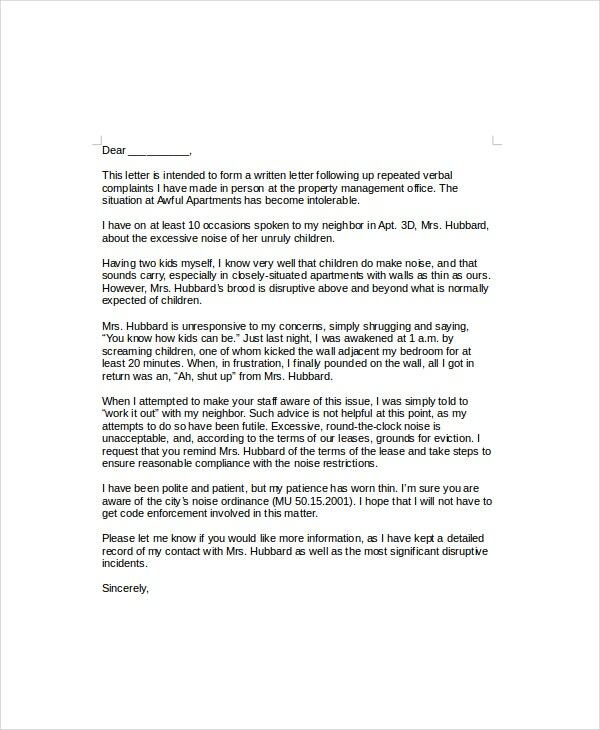 You must address your letter to the seller. 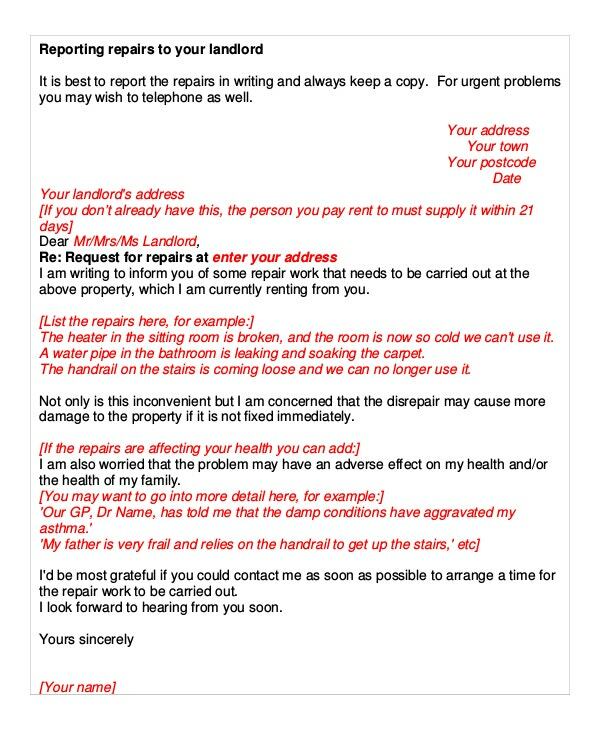 Writing generic letters such as those addressed “To Whom It May Concern” tend to appear lazy and not considered to be the best customer complaint letter. Such letters also minimize accountability. Hence, they are more likely to be assumed as compared to those addressed to an individual. Do not promise not to trade with the business in the future. This is because they will have no reason to assist you. Remember, business people want to satisfy and maintain their clients. It will be absurd for them to invest in solving a conflict knowing so well that they lost you already. 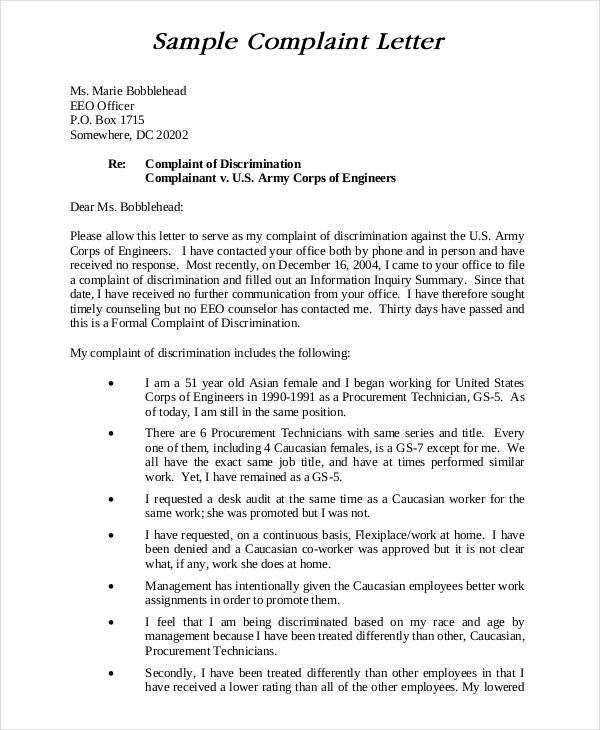 The letter is written by an employee to an employer. 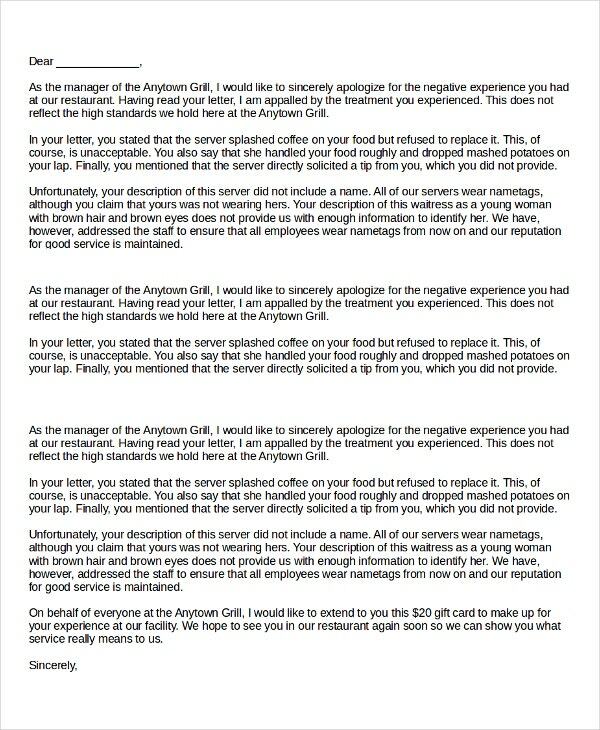 When writing this letter, you should strive to get the attention of the employer as much as you can. You should try to blend your letter with optimism or positive comments. For instance, after making known your anger and disappointment, state how glad you will be if they resolved the issue. Consequently, they will be tempted to respond appropriately to your letter. 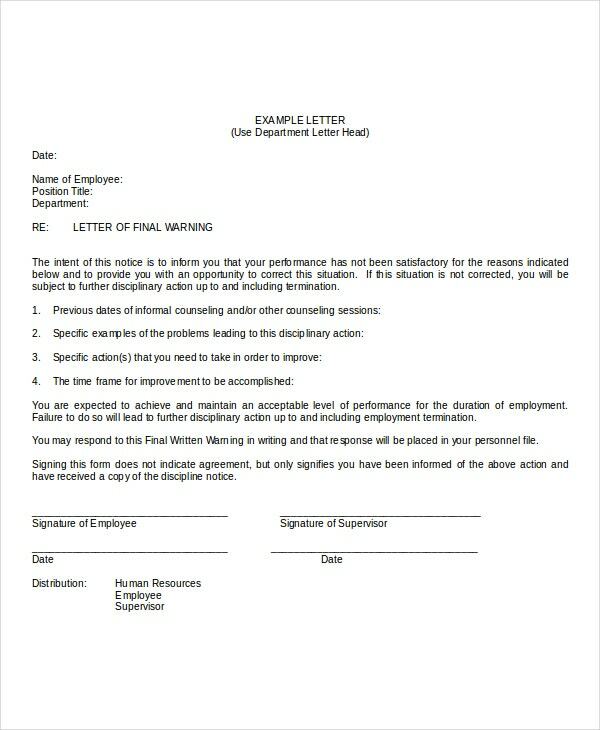 See to it that you do not pose threats in your letter of complaint to employees. For example, instead of daring to fire an employee, explain the matter at hand and suggest solutions to solve the problem. Otherwise, the respondents might easily be turned off and ignore your letter. Finally, do not draft a very long letter. 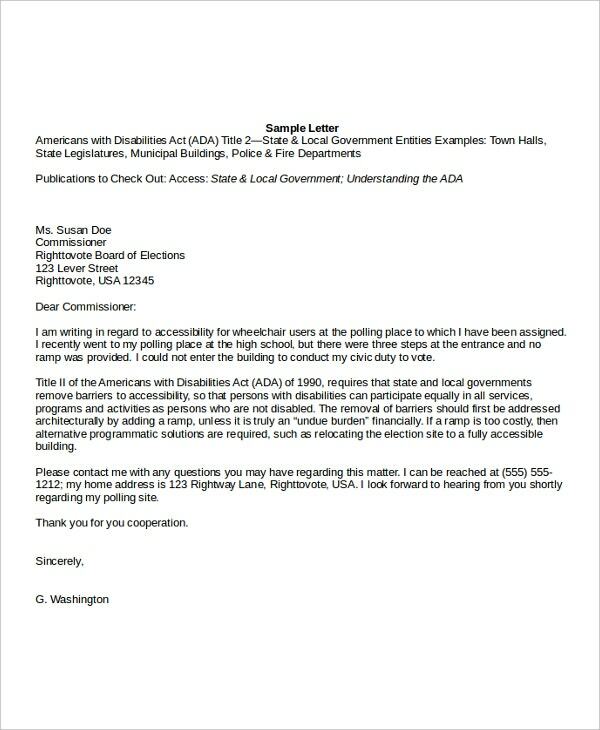 In as much as you want to give details, try to forget background data that is not related to the complaint. This way, your letter will remain focused. 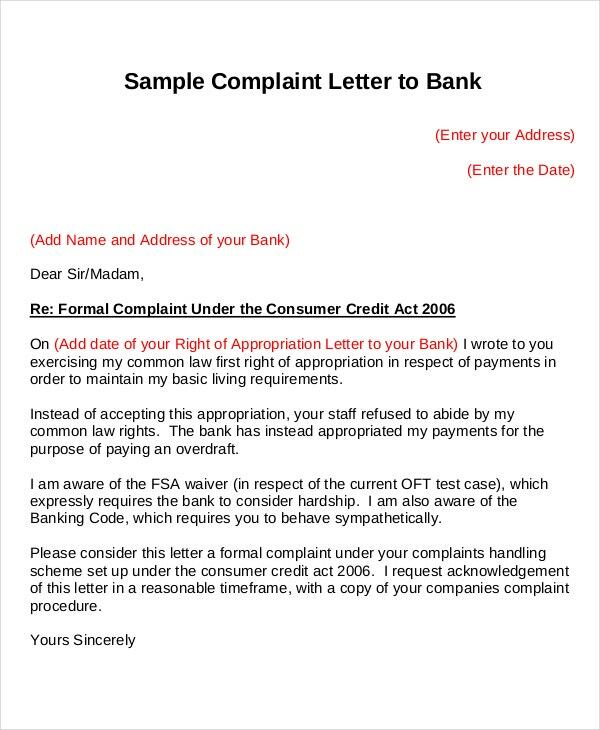 > What is a complaint letter? We all have seen short commercials on television or ads that pop up whenever we are accessing different websites all aiming at promoting different goods and services and thought well I need this in my life, ended up hiring or purchasing them but they did not really cater for your needs. 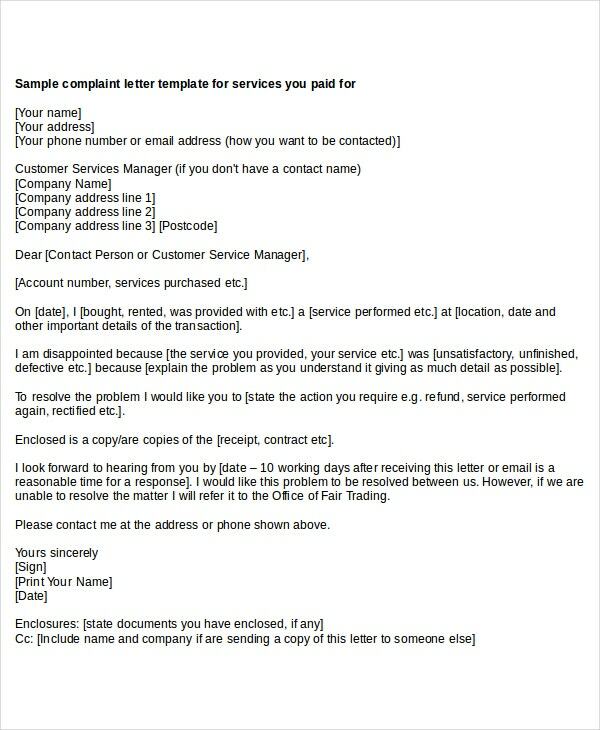 That is where complaint letters come in. 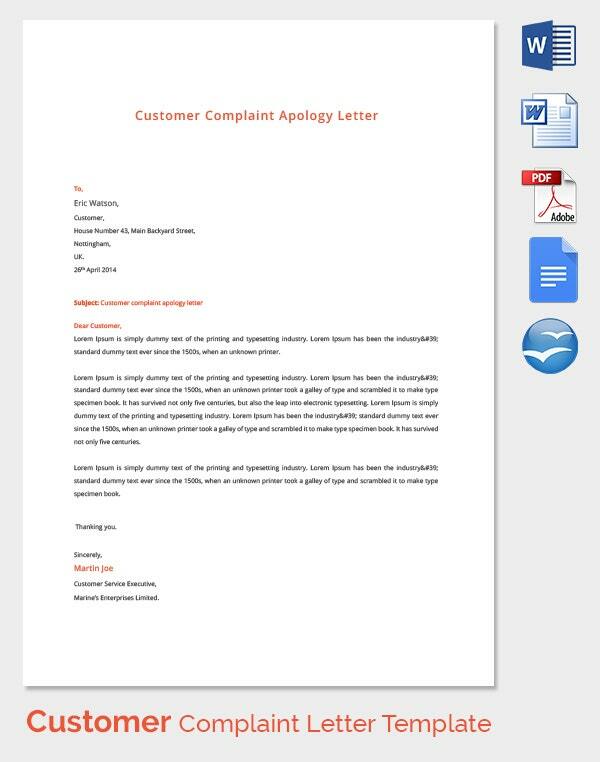 A complain letter is basically a letter written by consumers of a certain product or service to the sellers or manufacturers highlighting their dissatisfaction on a service or product and aiming to bring change or rather bringing the responsible party to account for their deeds. 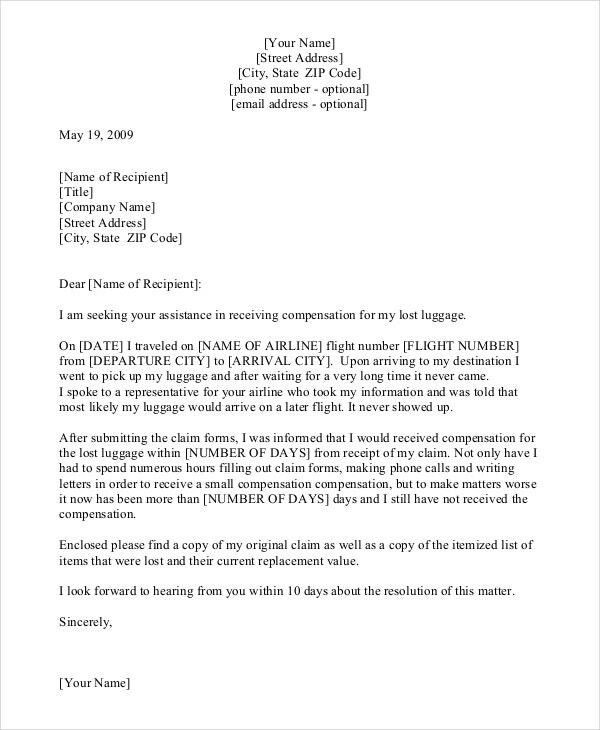 The existence of claim letter template have made it easier as they are predetermined and one only needs to insert his personal information and the products or services they feel they are did not meet their perceived standards. 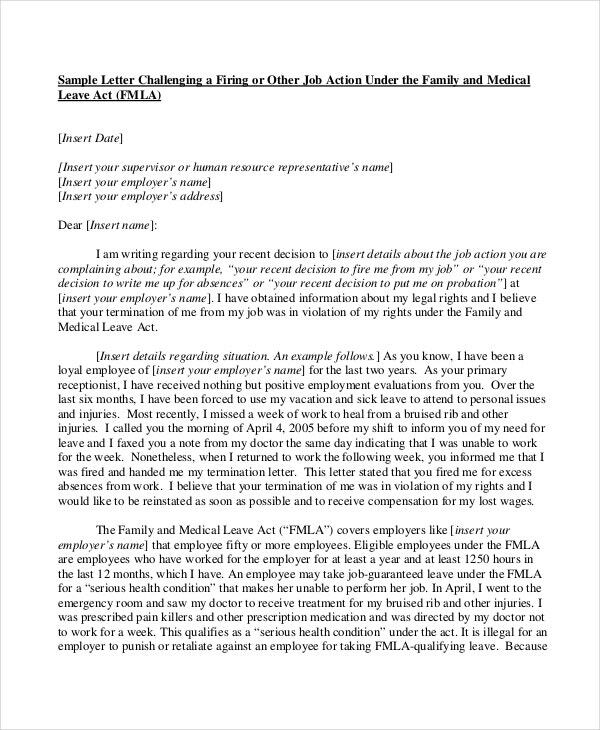 Moreover, there are employer to employee and employee to employer Complaint Letters. They are also used to prompt an organization to resolve an issue. Many are the times when businesses assume complaints. 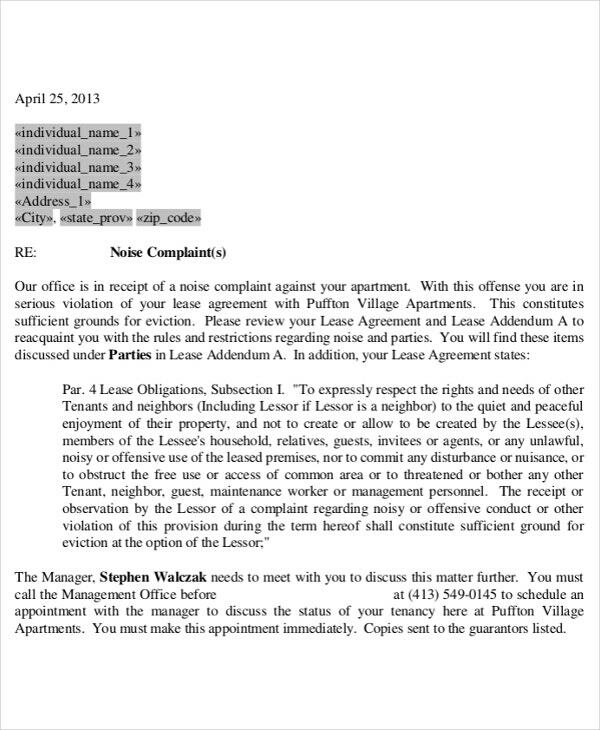 However, in a complaint letter, you state the time limit within which you expect the problem to be resolved. As a result, the company will try to hasten to solve the problem. These letters suggest solutions to different kinds of problems. After lamenting and expressing your frustrations, it is decent to declare your expectations. 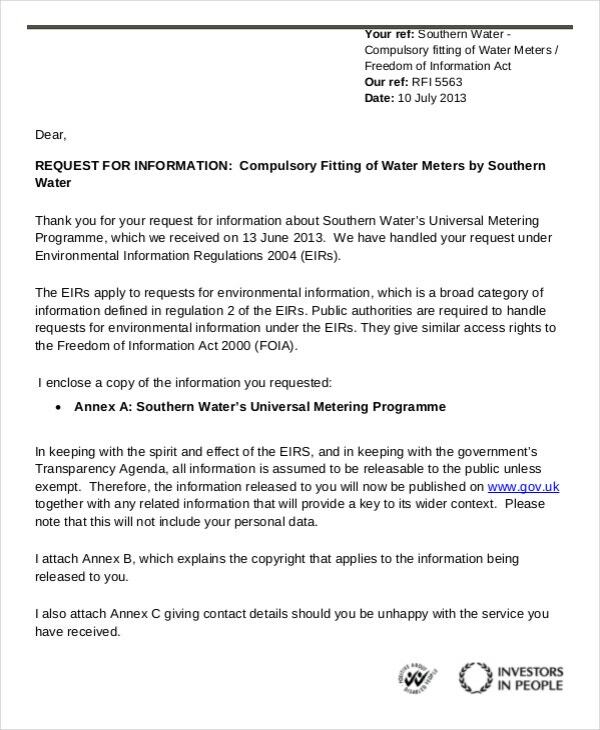 This is done authoritatively because you are aware of your rights and obligations. Therefore, companies know how best to resolve the issue as per your needs. 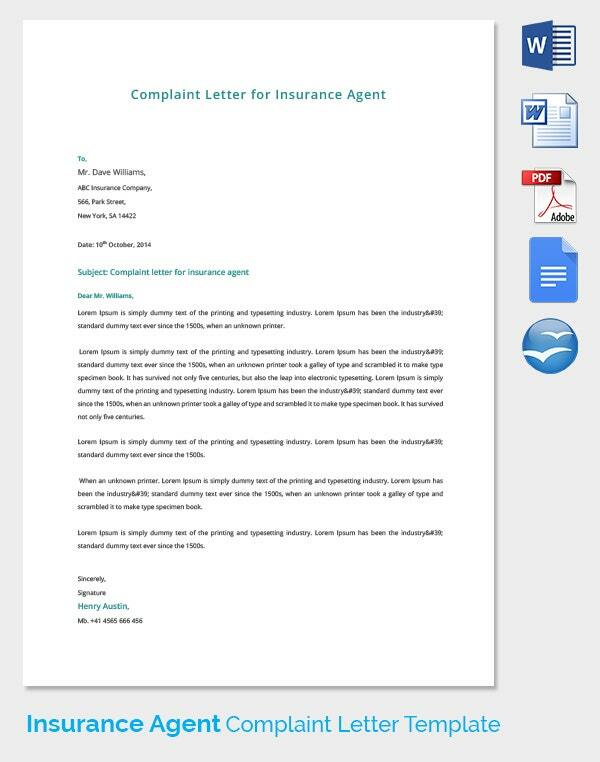 Complaint letters are also used to file your documentation with an organization. 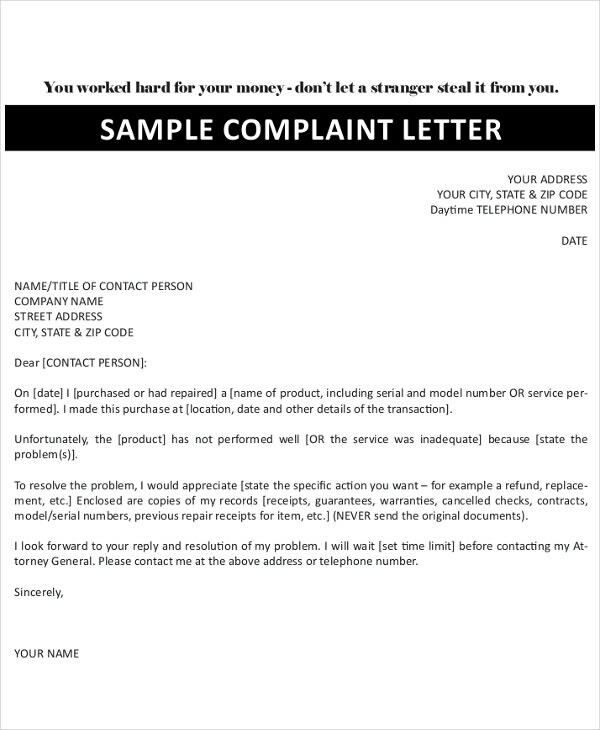 Note that complaint letters are addressed to a specific company. What is more, they are appended with transactional documents such as receipts from the company. 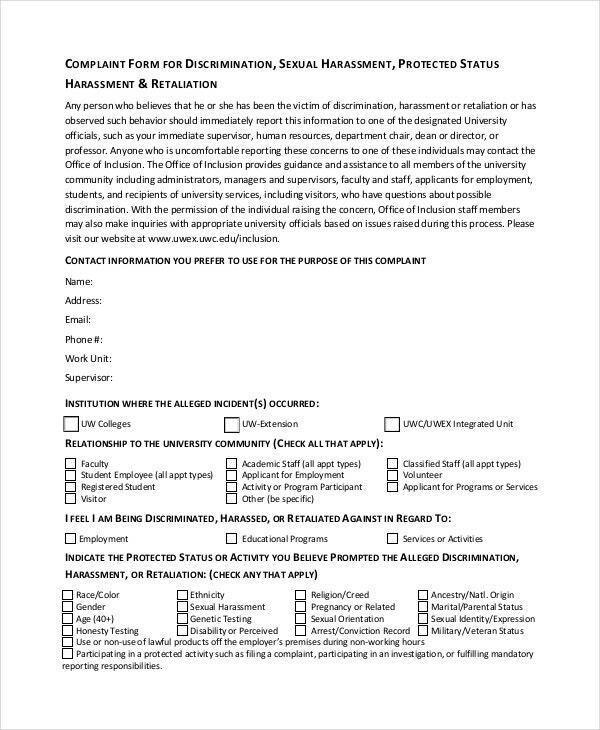 As a result, they are formal documents indicating your willingness to pursue the complaint. Finally, these letters preserve your legal rights pertaining to a given situation. It is your right to receive quality products and services. 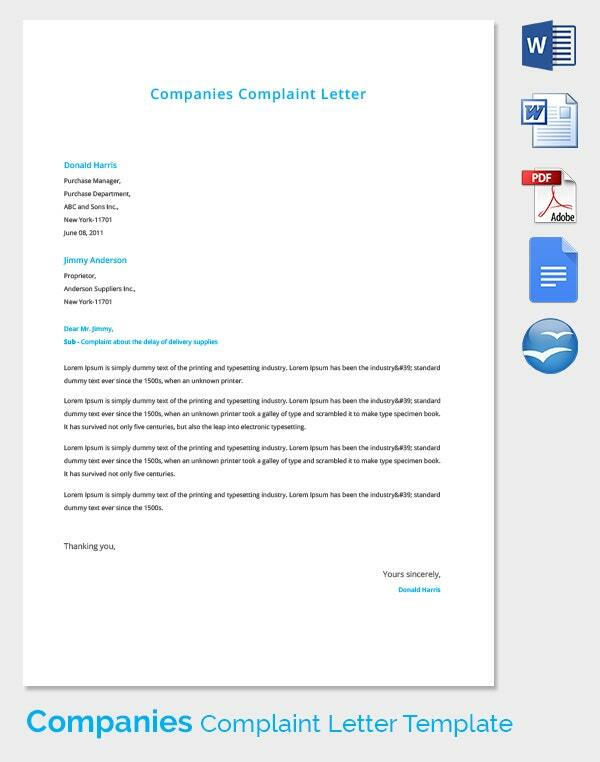 Hence, if a company ignores your complaint letter, you can use it before a court of law for defense. In the end, your rights will be protected as a consumer and client for the given business. It is prudent to suggest a reasonable solution for your complaint. 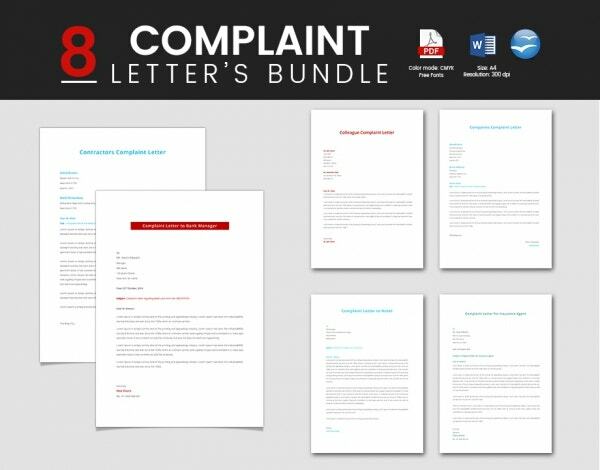 Many complaint letters are filled with lamentations that are left hanging. For an organization to appropriately respond to your complaint, you should let them know your expectations. This should be stated in the final paragraph of your letter. 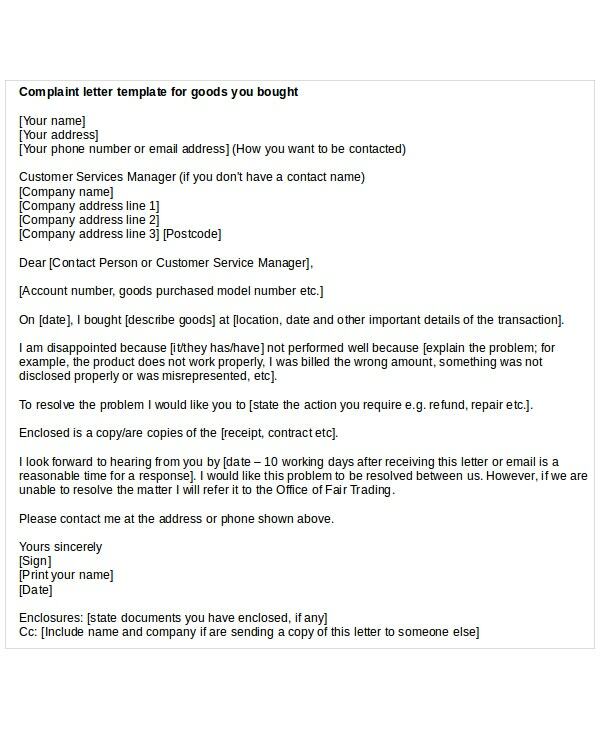 For example, if you bought damaged goods, you might ask for refund or replacement of the goods as you see fit. You should also consider making use of social media to post your complaint. 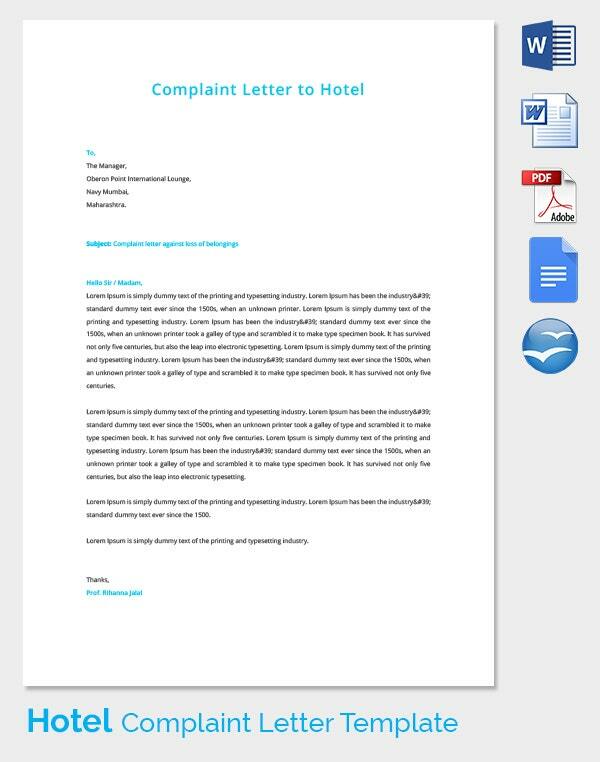 This is because a complaint letter serves as your final resort to solve the problem. Most organizations do not have time for letters as they do for their social image. If anything, they spend most of their time online to address issues like consumer’s complaints. 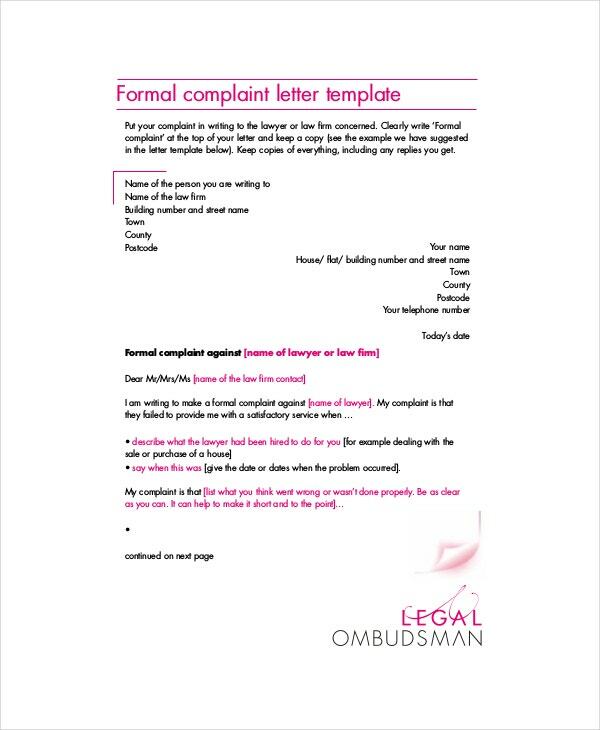 Even so, you should keep the complaint brief and exact in order to be assisted. Do not be so angered that you forget to provide your contact details. You should give your name, email address or phone number and your physical address when necessary. Remember, although entities record your contact information after a transaction, they cannot really identify you unless you assist them. 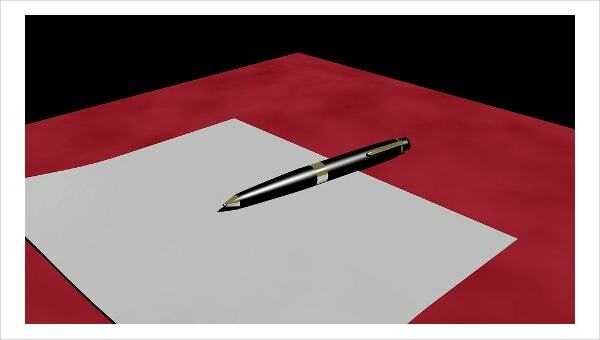 In conclusion, do not forget to provide essential details that can support your letter. For example, when complaining about a purchase or service delivery, you will want to state the date of the transaction. Also, include the items purchased, their ID and invoice numbers where applicable. Similarly, when lamenting about a staff, you should describe them, their actions, their name and the day when they acted inappropriately in the office. Copies of contracts and receipts are also helpful as long as they are specific to your complaint.